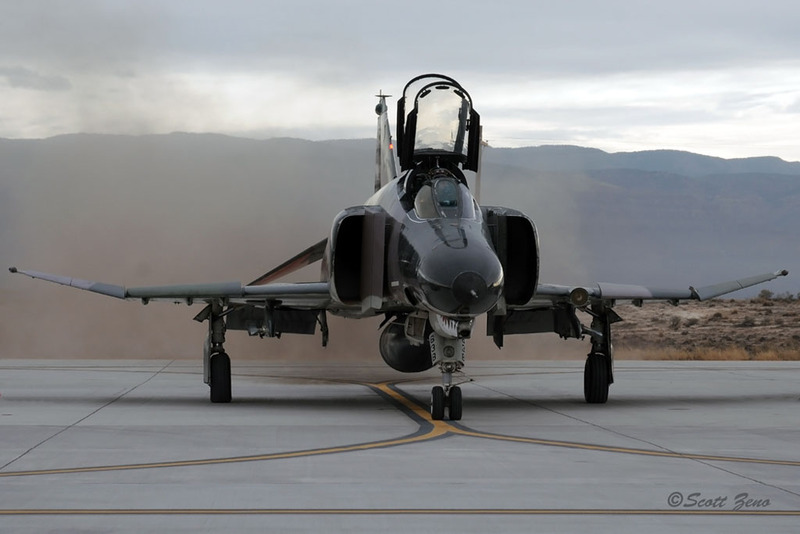 The U.S. Air Force retired its final McDonnell Douglas/Boeing QF-4 Phantom IIs on December 21, 2016. 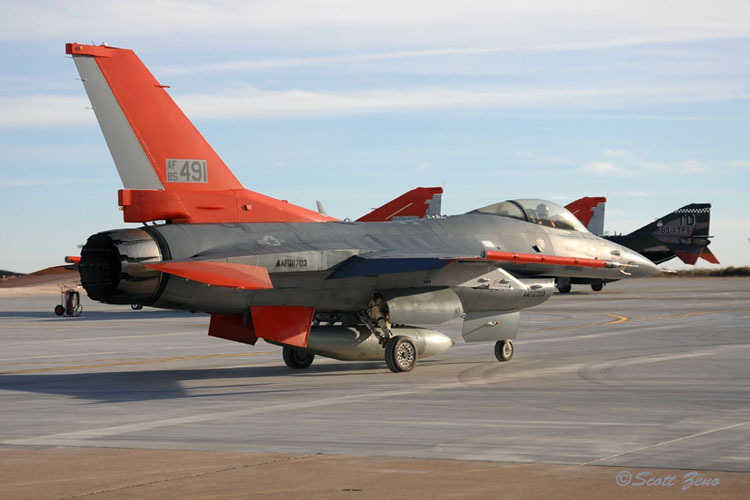 The jets were the last of the line… more than four thousand airframes of various versions were manufactured for the Air Force. 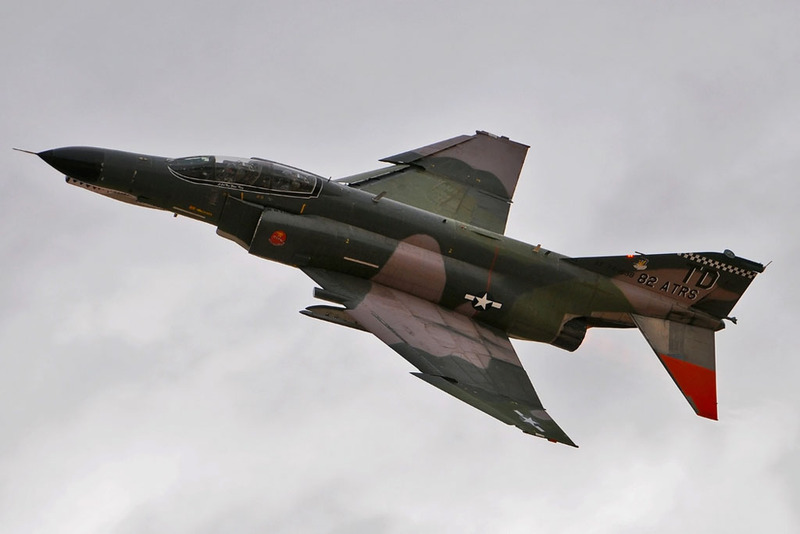 The first version flew in 1963, and for more than half a century, the jets and their crews performed air defense, attack, reconnaissance, Wild Weasel, and ultimately remote control drone service. 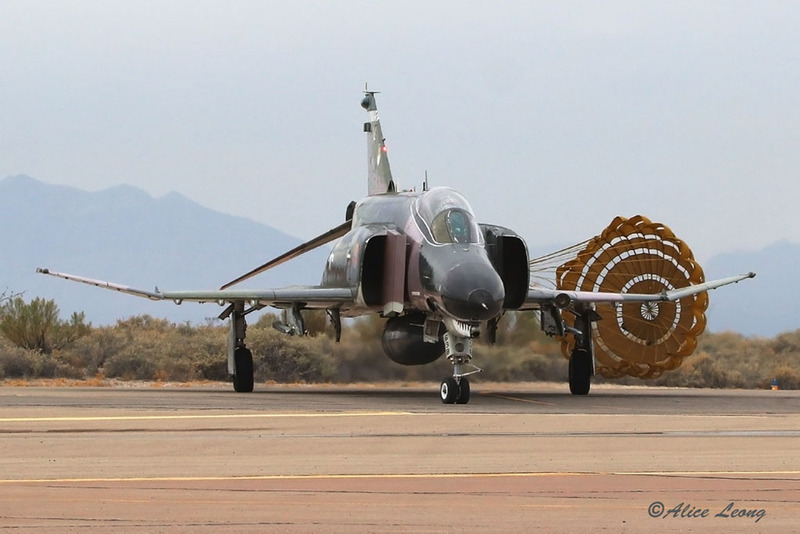 The final QF-4Es in service were operated by Detachment 1, 82nd Aerial Targets Squadron, based at Holloman AFB in New Mexico. 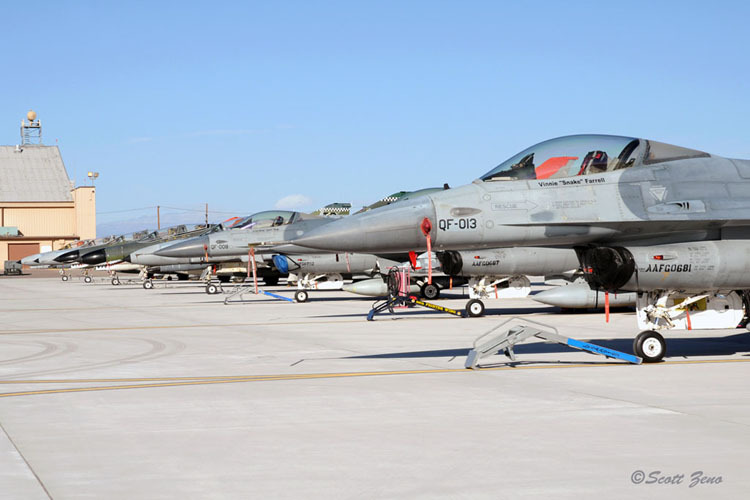 The 82 ATRS reports to the 53rd Weapons Evaluation Group at Tyndall AFB, FL. 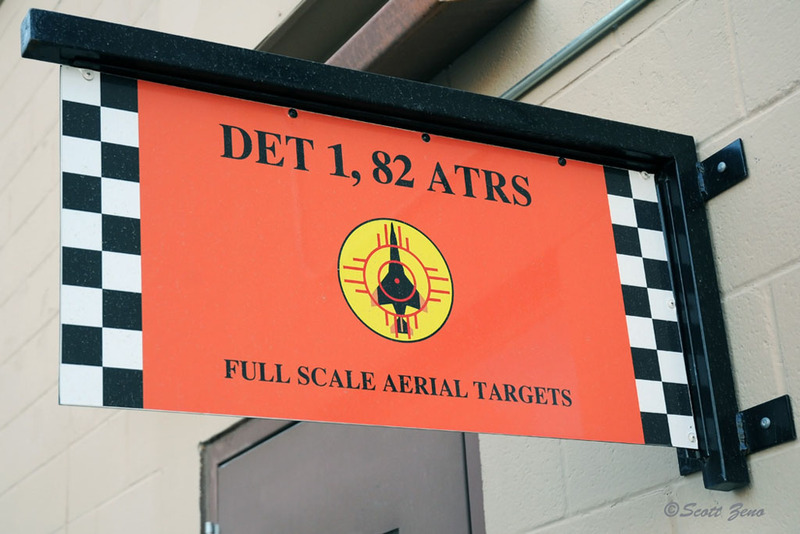 Holloman AFB sits close to the White Sands Missile Range, where live fire exercises against unmanned drone aircraft are routinely accomplished. 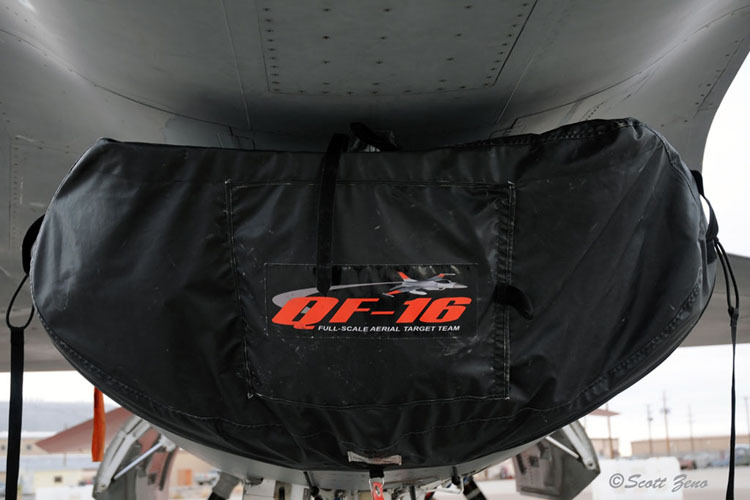 The final unmanned Full Scale Aerial Target (FSAT) mission was flown there on August 17, 2016, although manned missions, carrying various test payloads, lasted into December of that year. 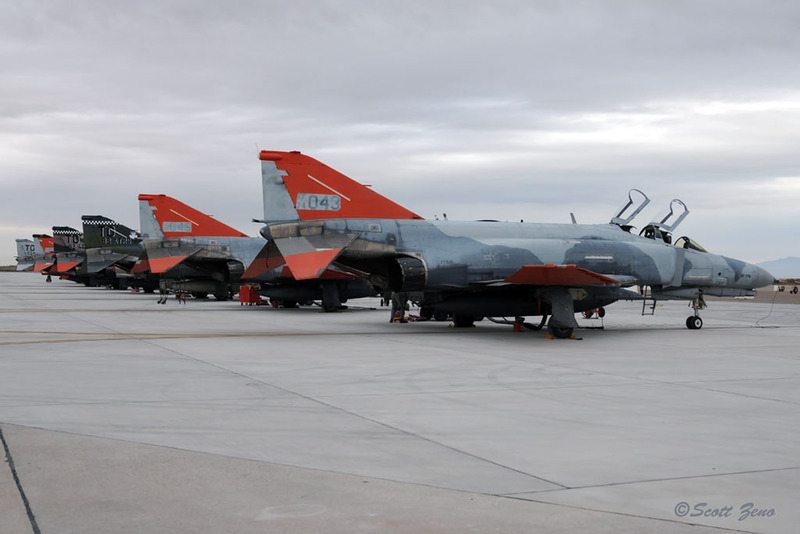 During December 20th and 21st, the Air Force feted the history made by Phantoms over the past half century, with a Media Day on the 20th, and a public finale on the 21st. 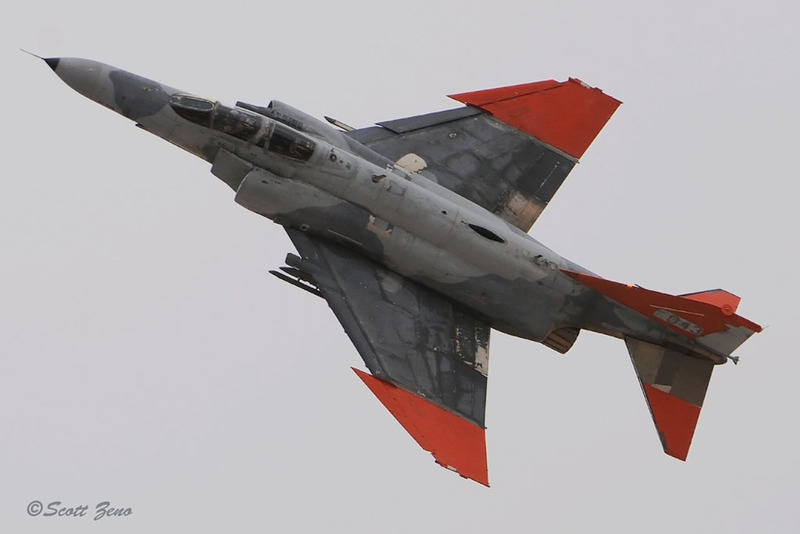 Guest speakers, ground based activities, and a fair amount of Phantoms in the air concluded the illustrious career of the fighter jet. 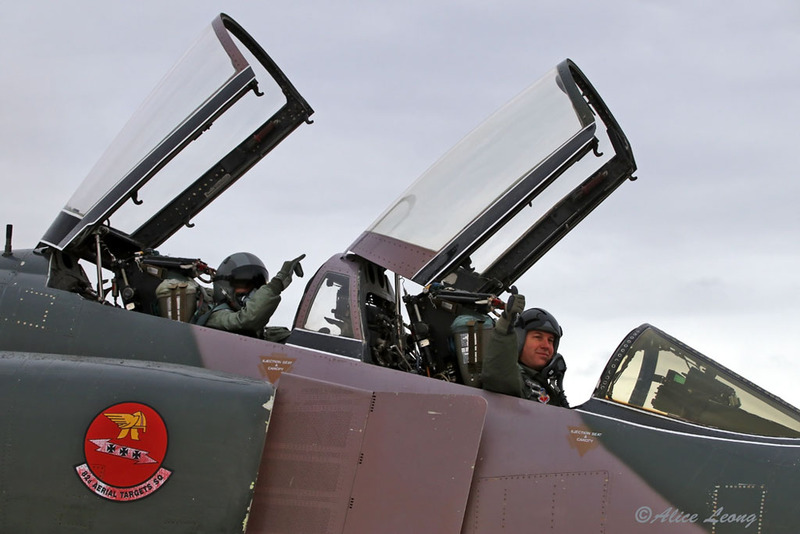 Many Phantom veterans – pilots, Weapons Systems Officers, maintenance crewmembers, program managers and other military dignitaries attended the finale, along with a group of civilian Phantom enthusiasts and international aviation history aficionados. 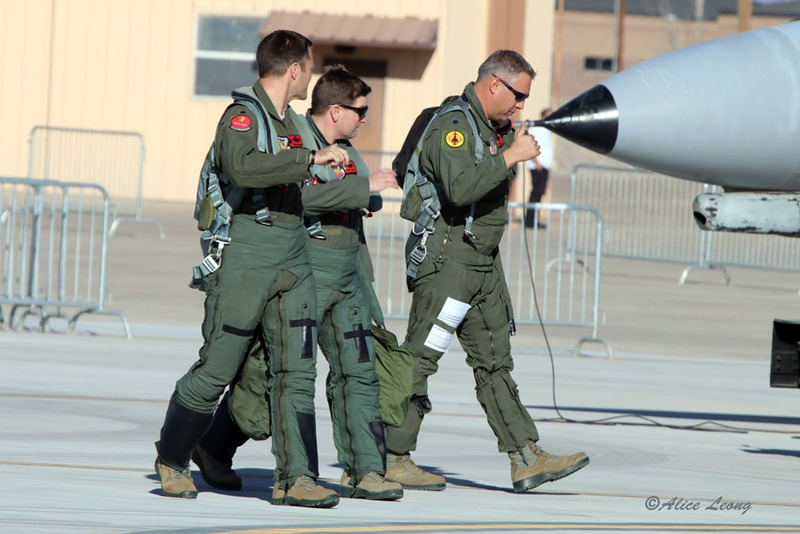 The four remaining QF-4 Phantom pilots reached celebrity status as they took their final flights in the last operational USAF Phantoms. 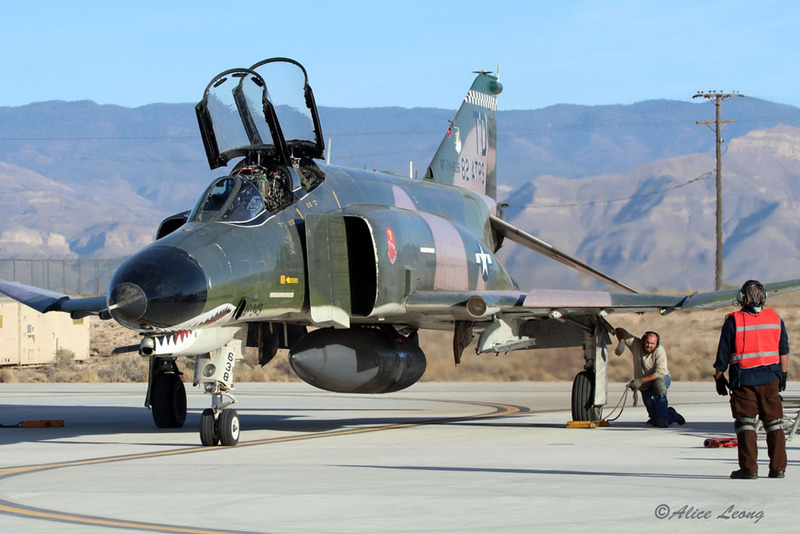 Of note, the Detachment Commander, Lt. Col. Ron “Elvis” King, was the last active duty U. S. Air Force F-4 pilot. 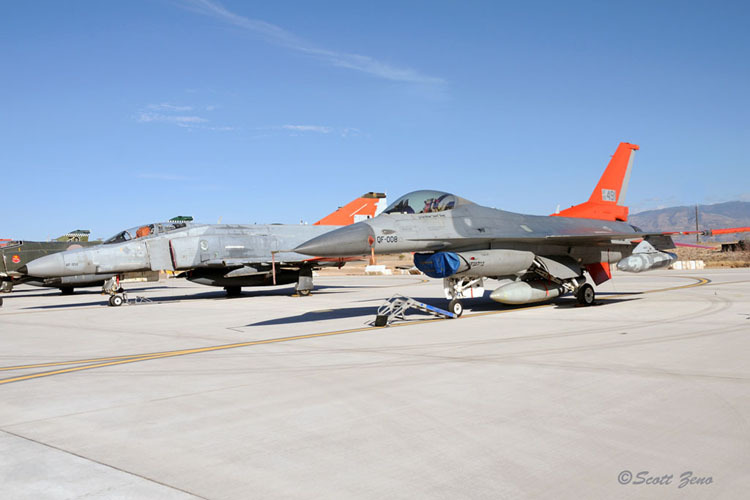 Photorecon.net’s Scott Zeno and Alice Leong spent three days at Holloman AFB, immersing themselves in the activities leading up to, and during the finale celebration. 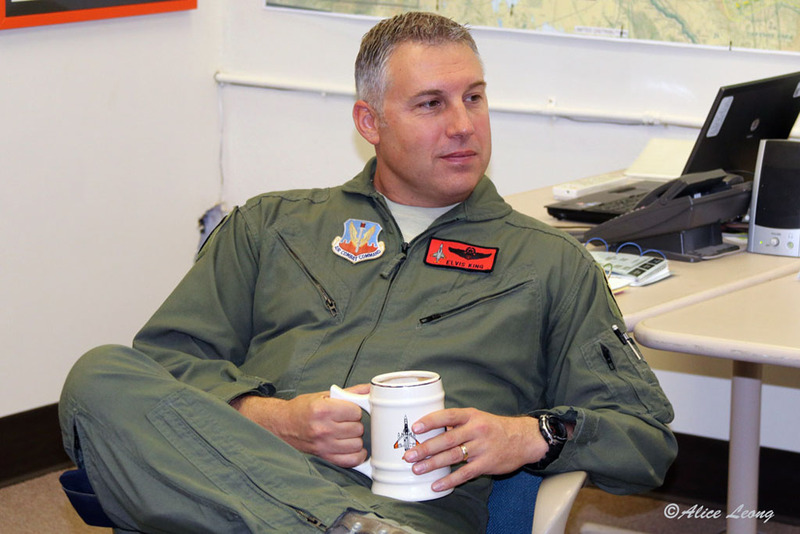 Here’s their pictorial report on activities from Monday December 19th through Wednesday, December 21st. 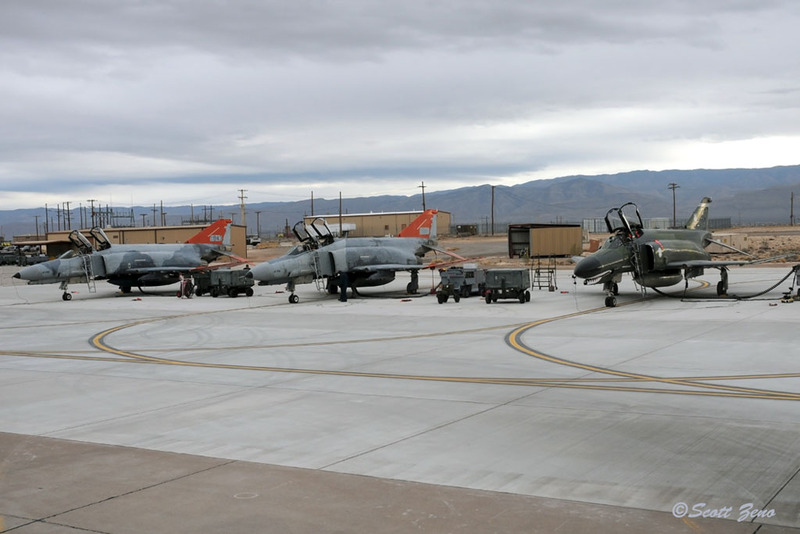 Six flyable QF-4s were available to be flown for proficiency and practice before Wednesday’s Main Event. 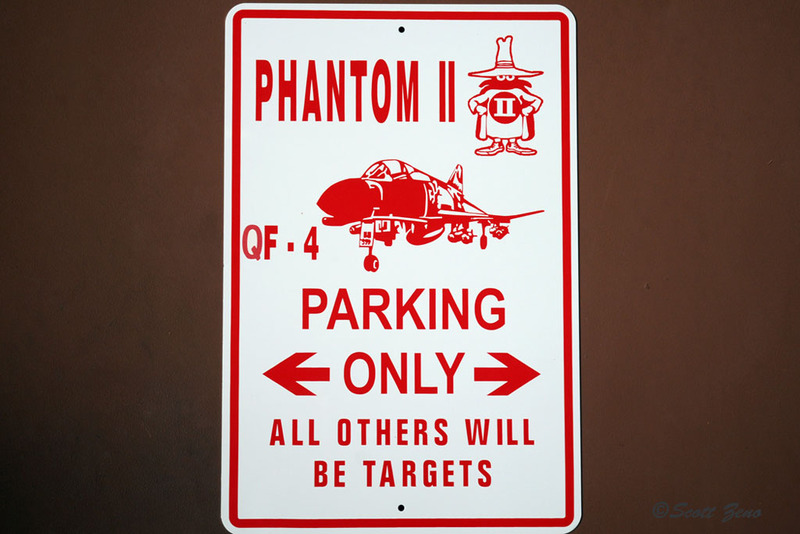 Although the rear seats didn’t need to be occupied, a few flights were filled with VIPs… Other Phantoms were parked, ready to go. 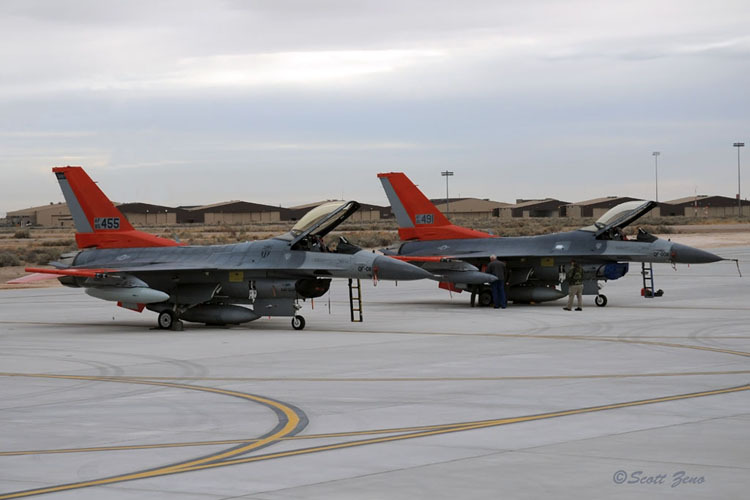 A pair of manned QF-16s – the successor to the Phantom in the FSAT mission, departed on the wing of Detachment Commander “Elvis” King in a QF-4E. 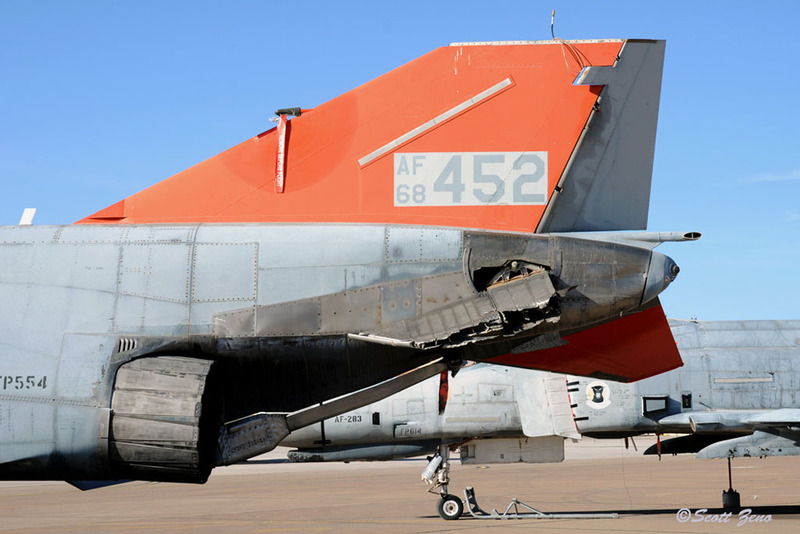 More Phantoms, already grounded, stood parked on the ramp. 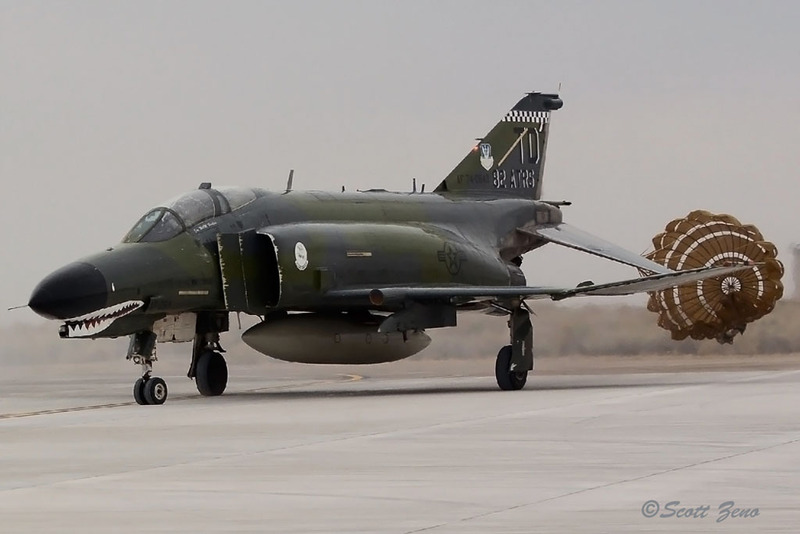 Most would be towed onto firing ranges and become targets; QF-4E 68-0452 had most of its left stabilator shot off by an AIM-9X Sidewinder missile during an unmanned FSAT mission… but the drone pilot skillfully brought the wounded Phantom back to Holloman AFB on its final flight. 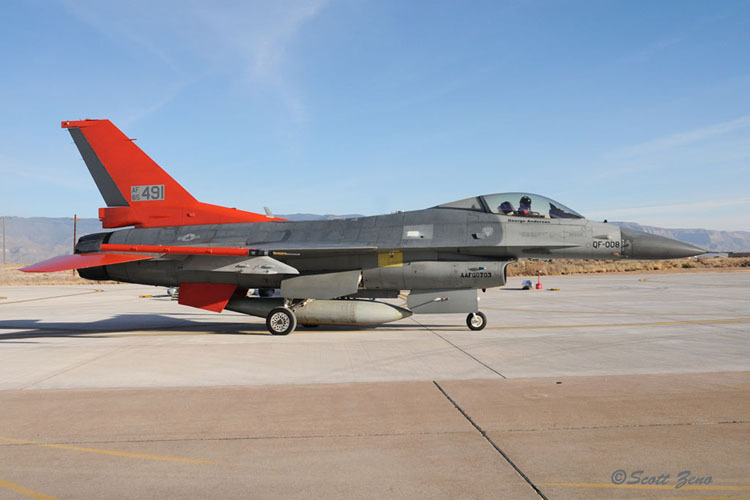 General Dynamics QF-16C jets will fulfill the FSAT mission duties for the next few years, they follow an illustrious line of fighters that were converted to expendable drones to provide realistic targets for training and weapons testing. 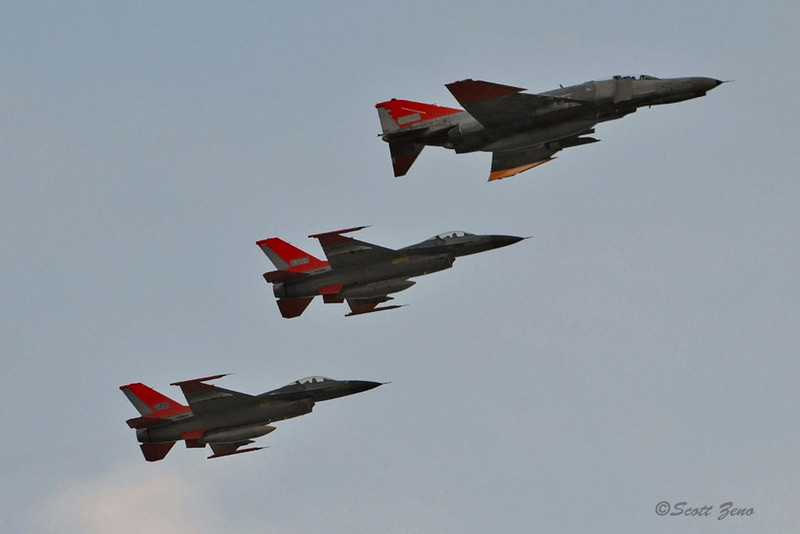 Starting with the PQM-102 Delta Dagger, the QF-100 Super Sabre, QF-106 Delta Dart and QF-4 Phantoms followed. 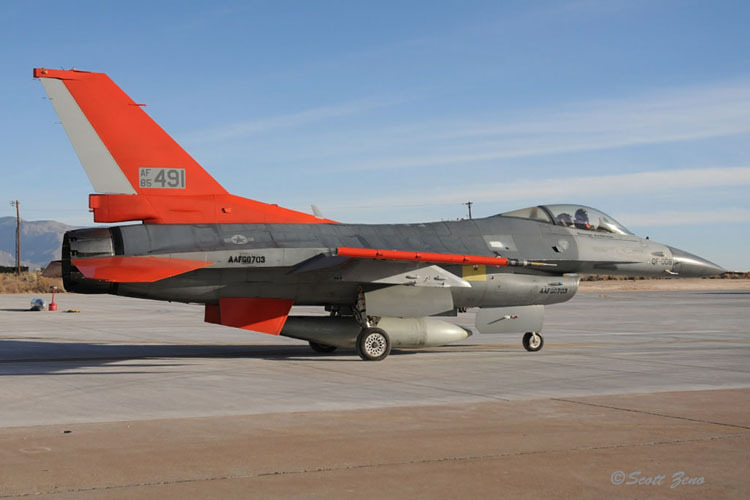 The 82 ATRS is already flying QF-16 missions. 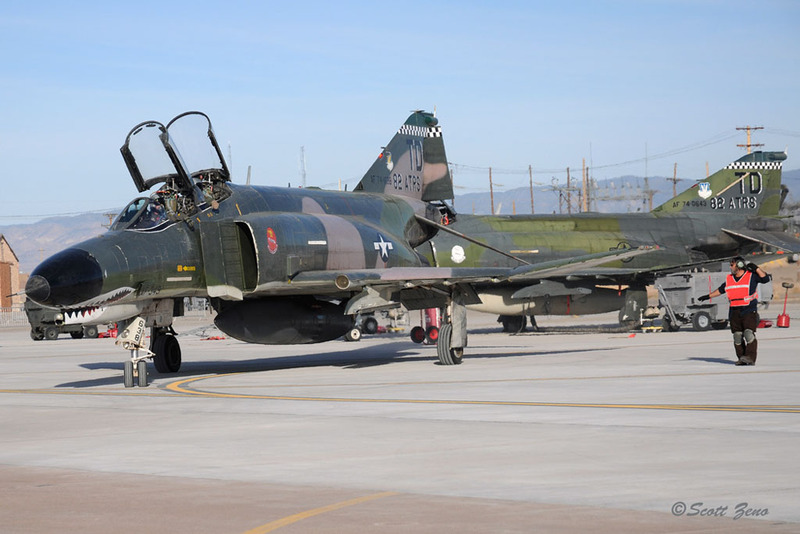 Although the QF-4 activity was winding down, there was still activity around the offices and ramp. 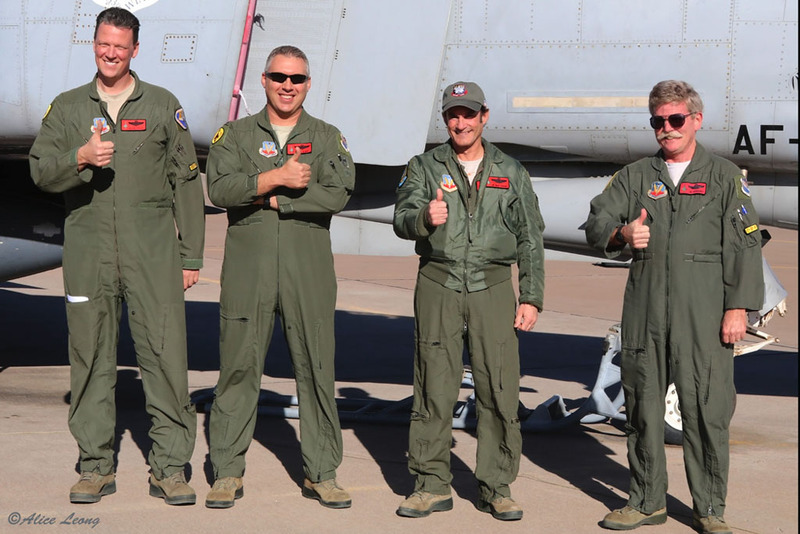 The four remaining current QF-4 pilots, Lt. Col Ron "Elvis" King, Lt Col (Ret) Jim "Wam" Harkins, Major (Ret) Jim "Boomer" Schreiner, and Eric "Rock" Vold weren’t exactly finished with their duties yet. 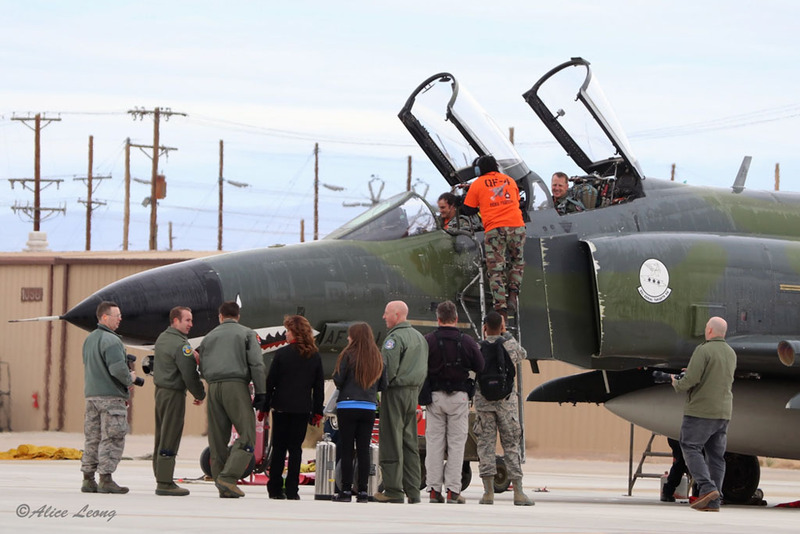 On Media Day Tuesday, Phantom Phanatics, writers, photographers and former Phantom crew assembled to watch some of the jets fly, and spend time around the aircraft. 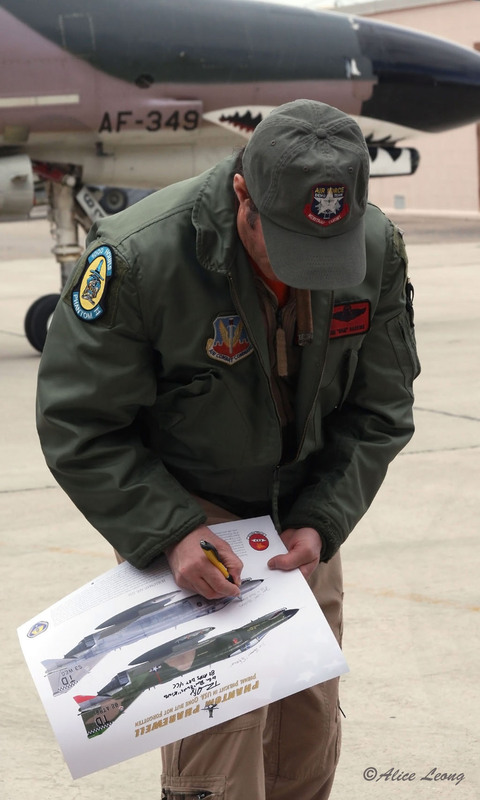 Question and answer sessions occurred too, and lithographs and t-shorts were signed by the remaining pilots. 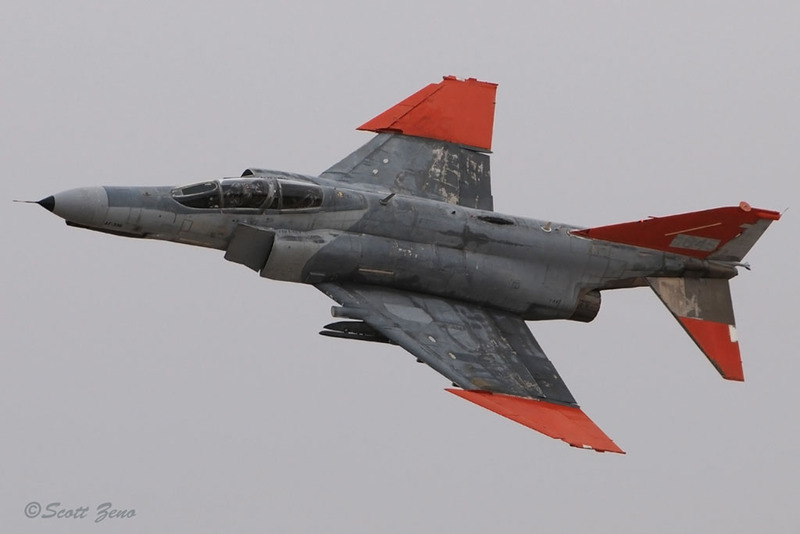 Soon, two Phantoms roared to life, and along with a pair of QF-16s, alighted to the delight of the assembled enthusiasts. 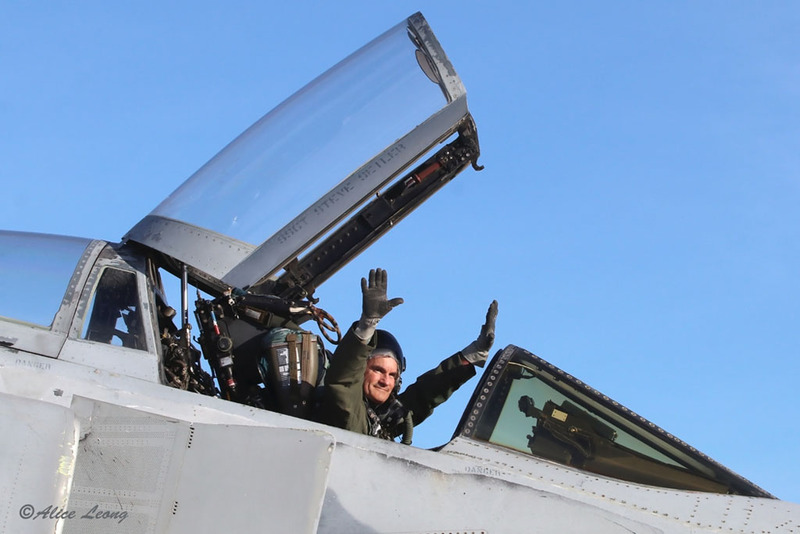 They’d return close to sundown after an air-to-air photo mission. 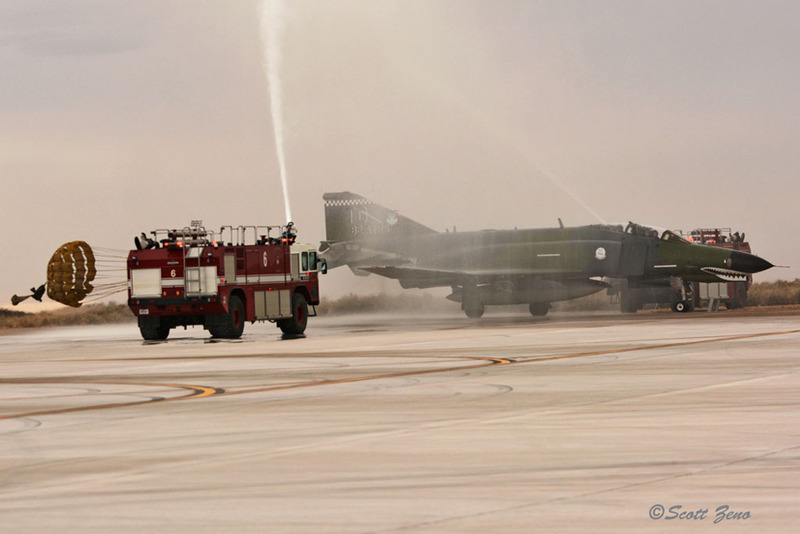 Finally, on Wednesday, the F-4 Retirement and Phinal Phantom Phlight ceremony occurred. 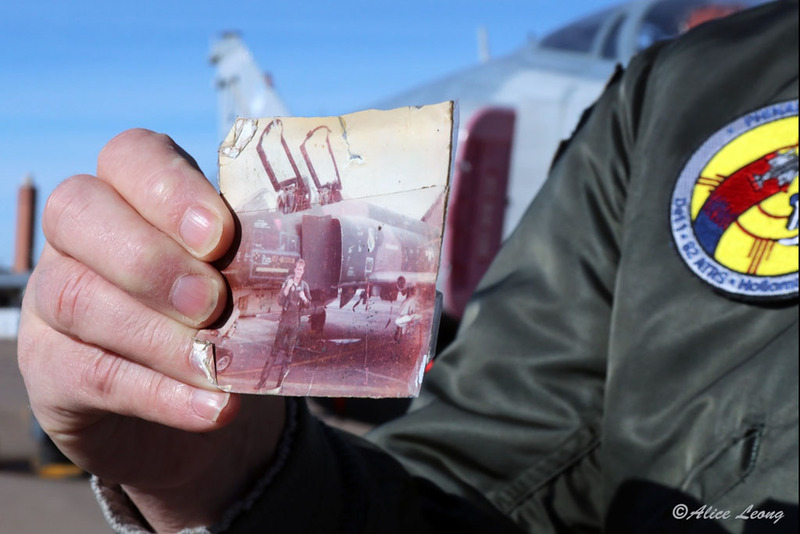 Former and active duty Air Force personnel mingled, and they all witnessed the end to an era. 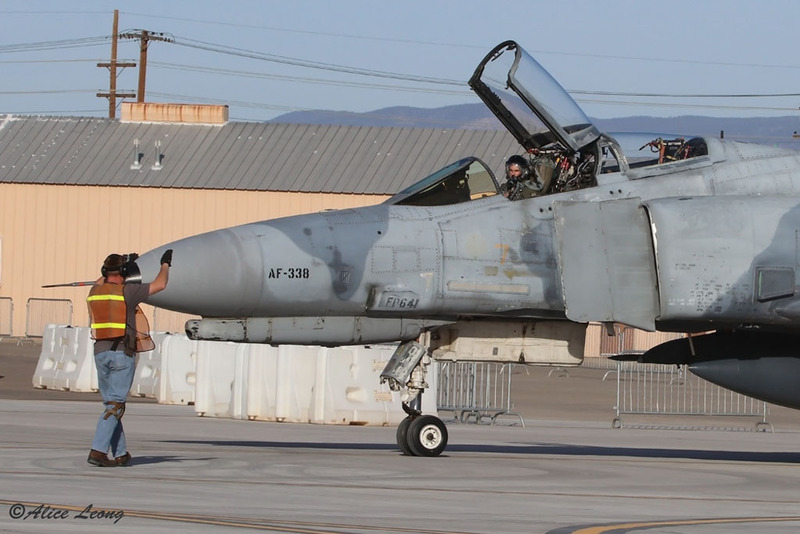 Nor was this a military-only event, as community leaders who helped to support the men and women who employed the Phantom were present too. 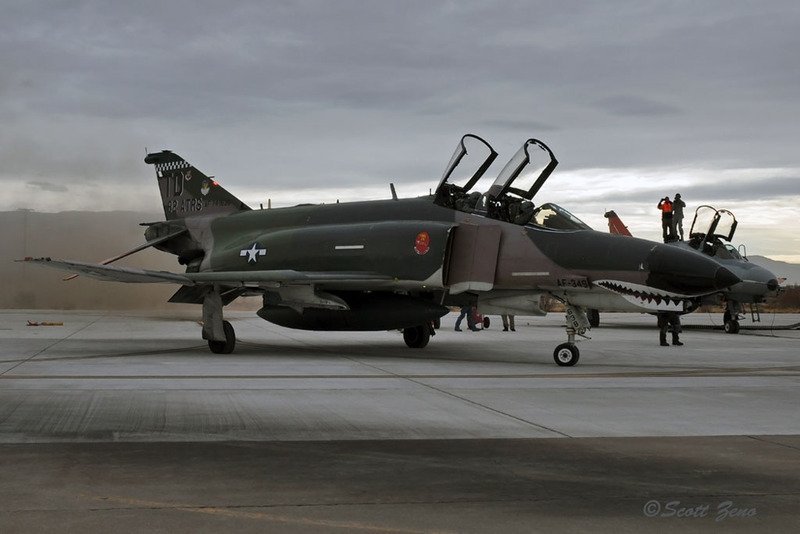 A very thick book could easily be filled with the experiences and exploits of the many Phantom Phlyers and Phantom Phixers present. 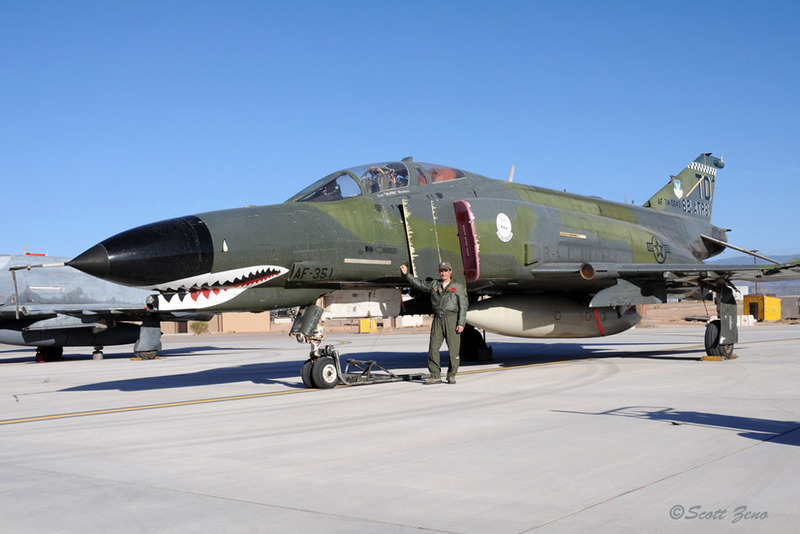 Two former Phantom crew in attendance were (Ret) Maj. Gen. Bill Acker, part of the first cadre of pilots to train on Air Force F-4s, and (Ret.) 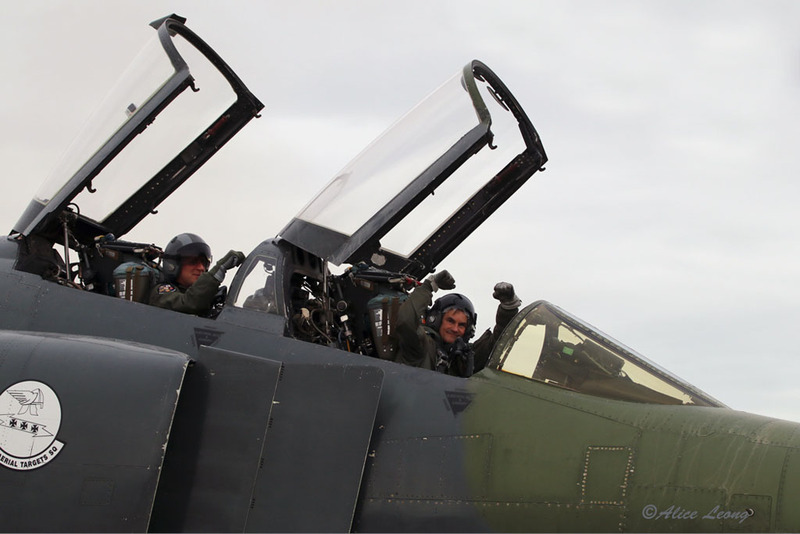 Col. Chuck DeBellevue, the leading flying ace in Vietnam, earning the title while flying on the Phantom. 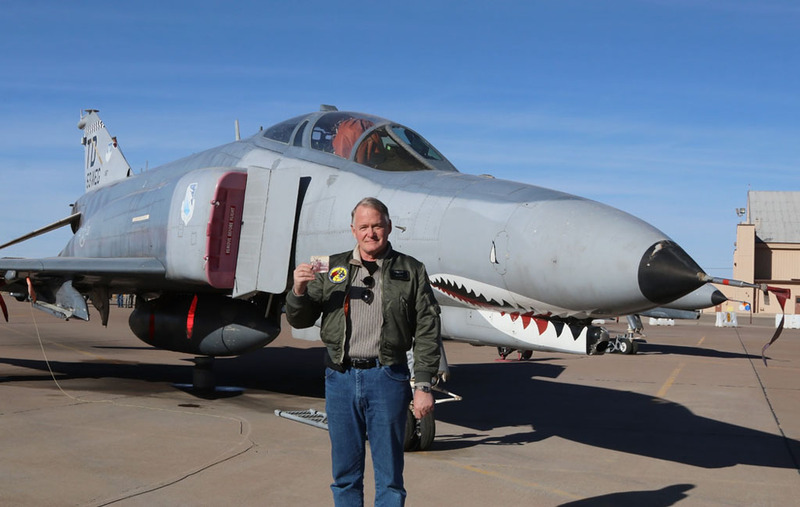 The man with the F-4 picture is Edward Evans, a former F-4 pilot with the 336th TFS. 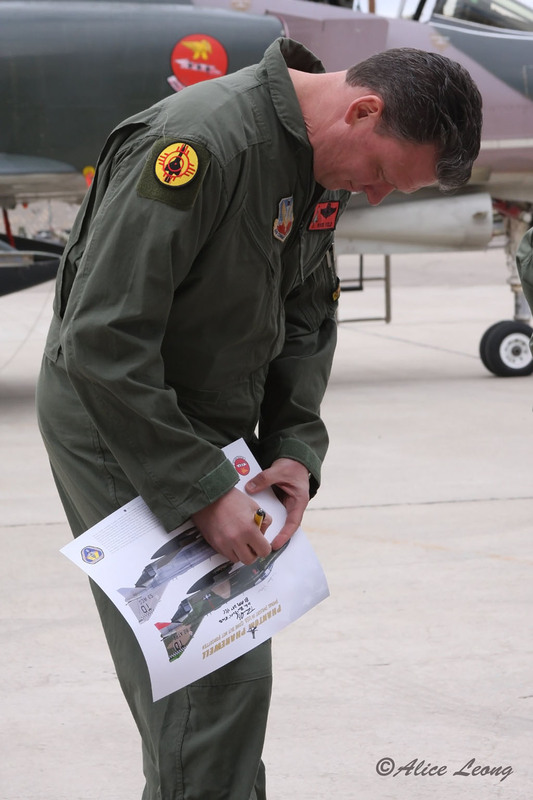 The picture he's holding is of him back in his F-4 days, and in that photo, the jet behind him is 74-1167… which he's standing in front of again many years later!! 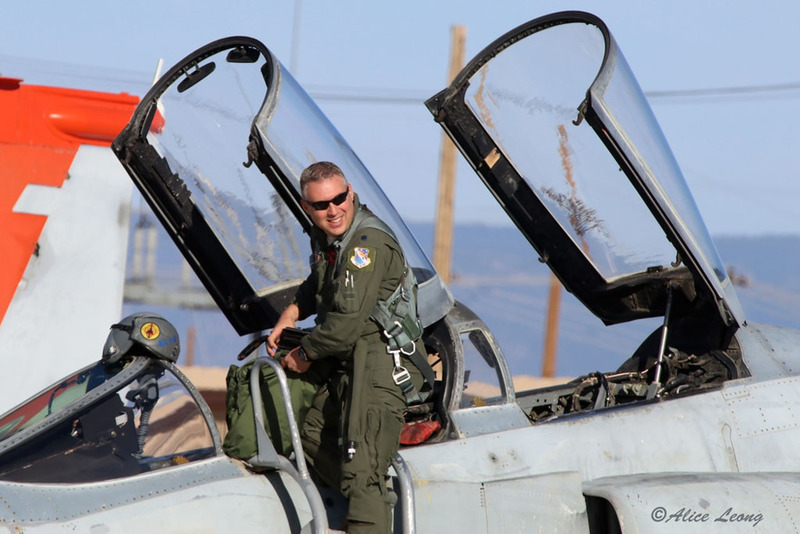 His son "Ozie", currently a pilot stationed at Nellis AFB, was with him as well that day. (Ret.) 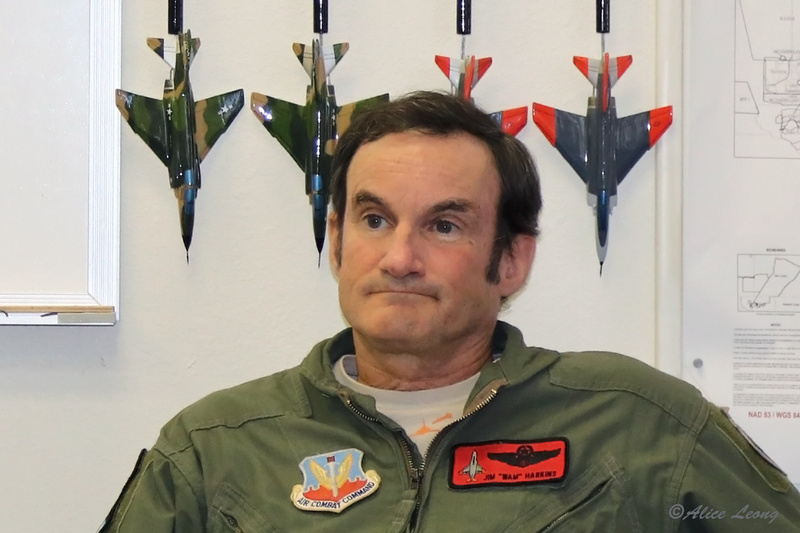 Col. Klaus Klause is a former F-117 Operations Group Commander (and Bandit pilot), as well as an F-4 Phantom veteran of Vietnam. 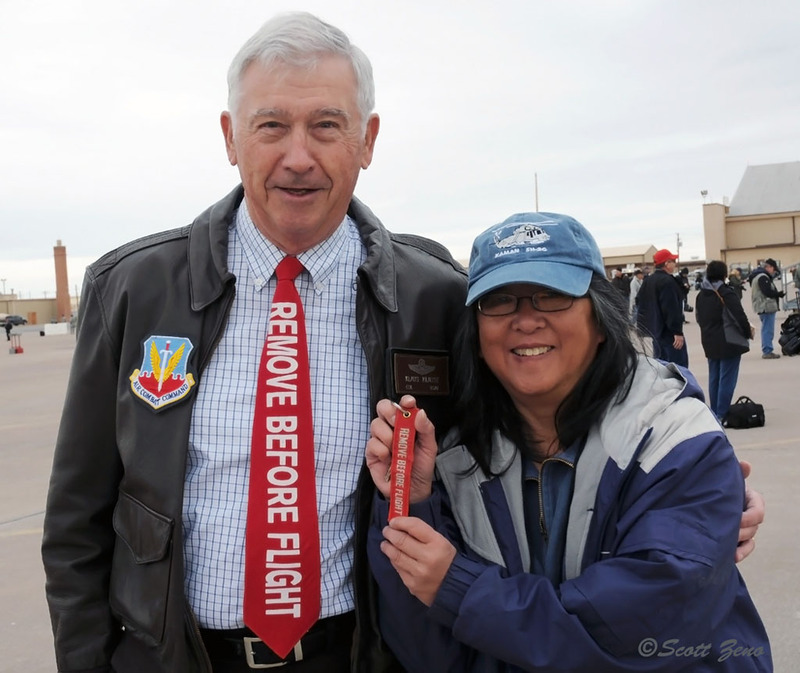 That’s Alice Leong with him at Holloman AFB’s Phantom Phinale. 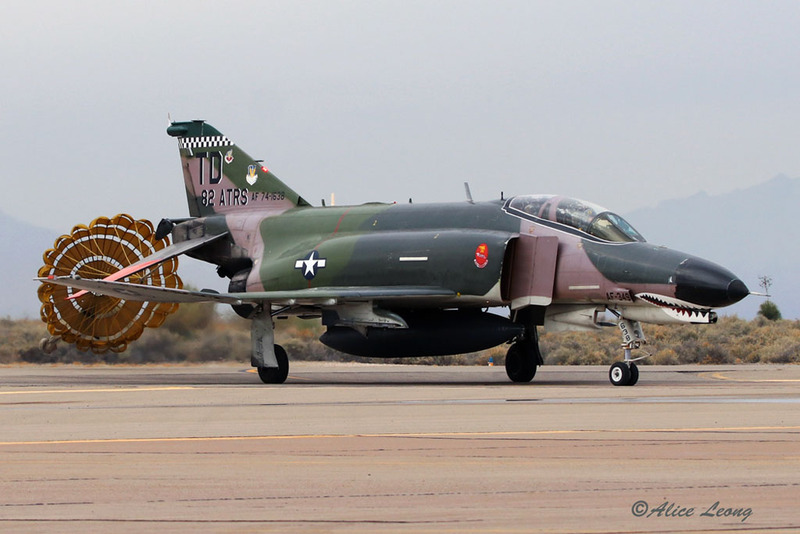 The “Phinal Phantom Phlight” ceremony began with a quartet of Phantoms departing with a roar of afterburners. 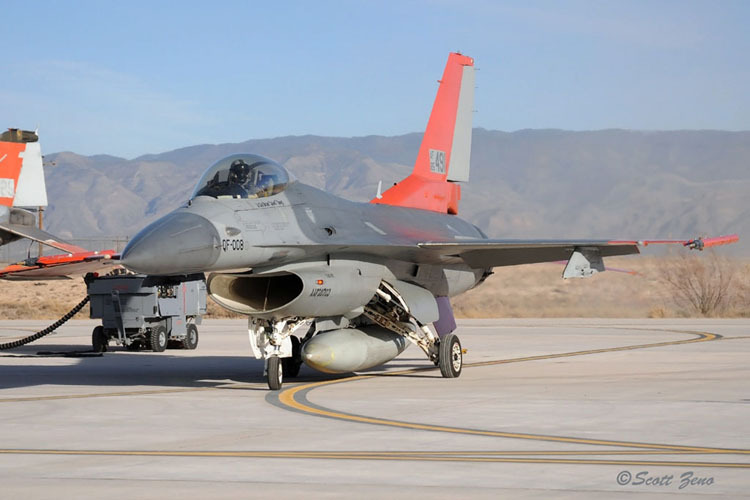 Sonic booms, “presentation passes” and finally, the last landings occurred before the final drag chutes were popped and water cannon salutes ensued. 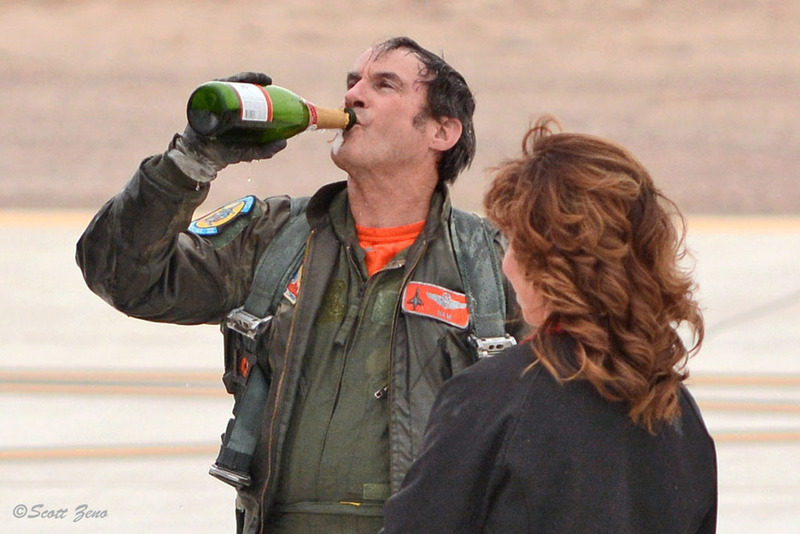 Detachment 1, 82 ATRS Commander “Elvis” King upon finishing his speech. 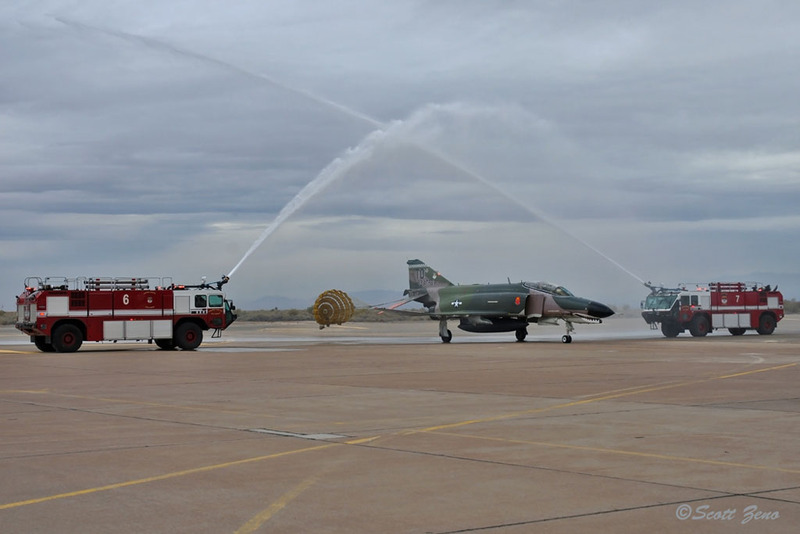 After shut down, the crews exited the jets, and the formal retirement ceremony for the Phantoms began. 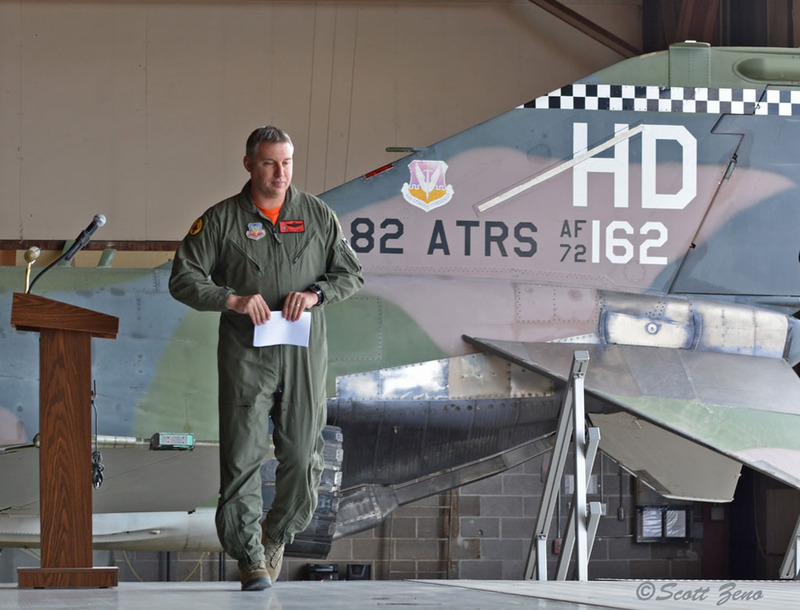 Speeches by the 53rd Wing Commander Adrian "Elmo" Spain & 53rd WEG Commander Lance "Blade" Wilkins were followed by the Detachment 1, 82nd ATRS Commander Lt. Col Ron "Elvis" King giving the final words. 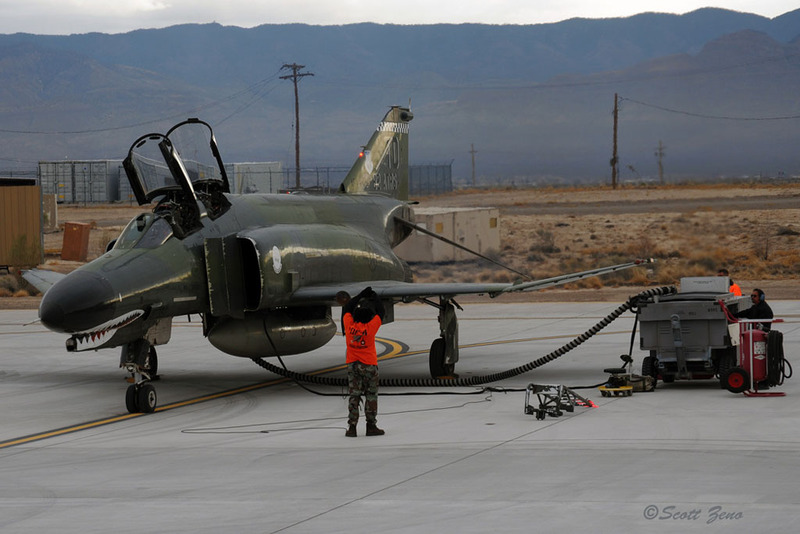 Afterwards, a short period of time allowed for people to get close to a Phantom for the last time and even sign the jet. 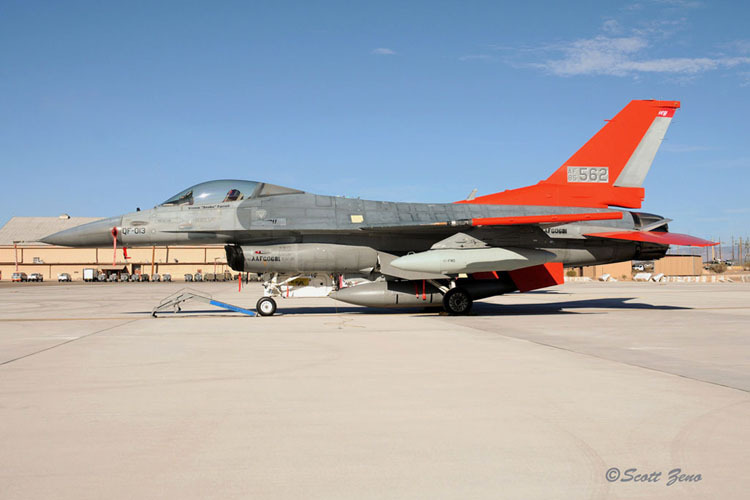 A successor QF-16C was available for inspection too. 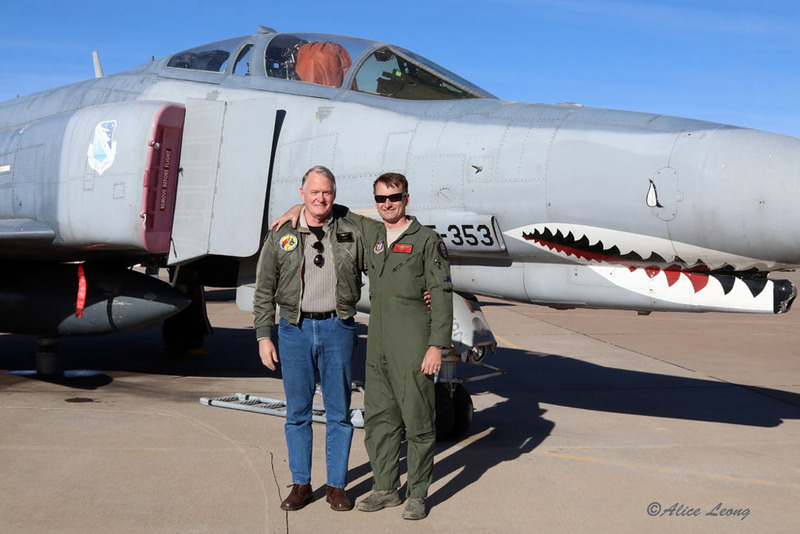 “Wam” Harkins and QF-16 pilot Lt. Col. Brian “Jaws” Swyt celebrate after one of the final QF-4E Phantom flights at Holloman AFB. 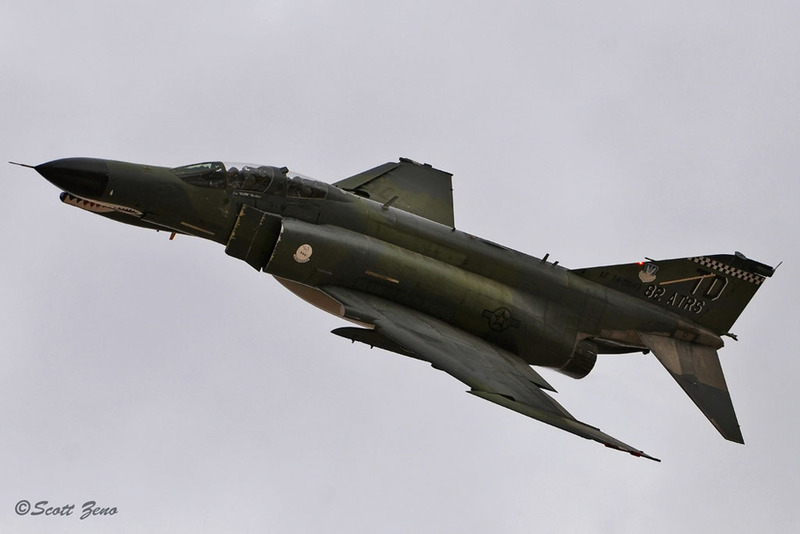 It was the end of an era for the mighty USAF’s F-4 Phantoms. 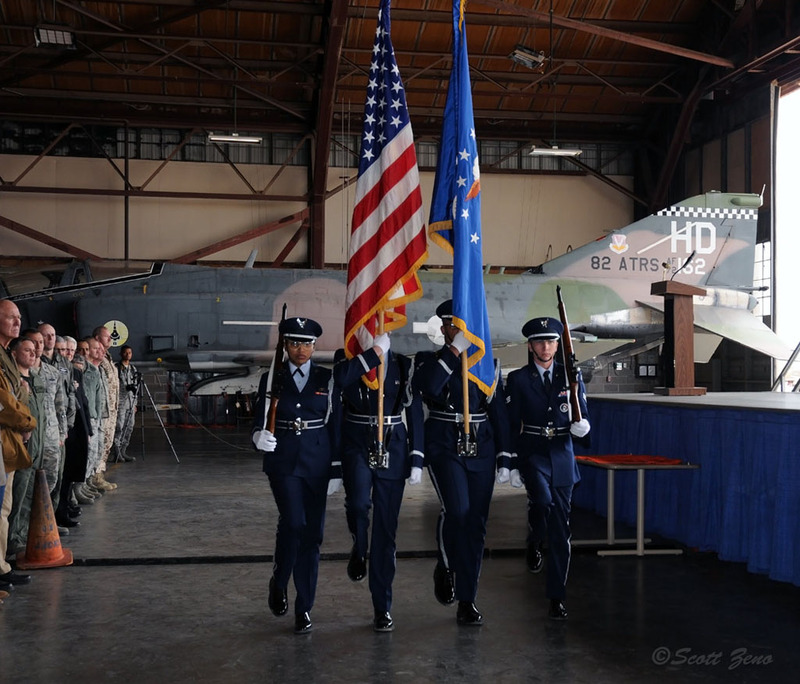 A fitting salute was presented to the aircraft and the people who spent countless hours dedicated to the job of protecting America’s freedom and liberties, through the use of this iconic fighter bomber.